Can't decide on which pillow would suit you best? No problem! Now you can get two levels of support with the Green Label Soft/Blue Label Firm Pillow Combo Pack. 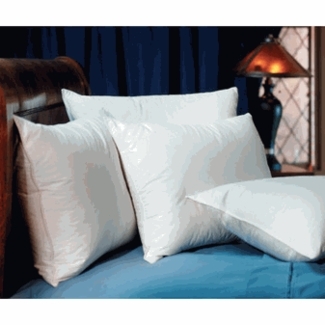 The Green Label Soft Pillow has a lower fill weight of polyester fiber that makes it compressible which is perfect for stomach and back sleepers. The Blue Label Firm Pillow is great for side sleepers who need a little more support and fill weight to maintain proper spinal alignment. These two pillows have been loved by guests of the Comfort Inn ® for years, and now you can get this same great combination in your own home!